Huggies — I am Lauren Wood. 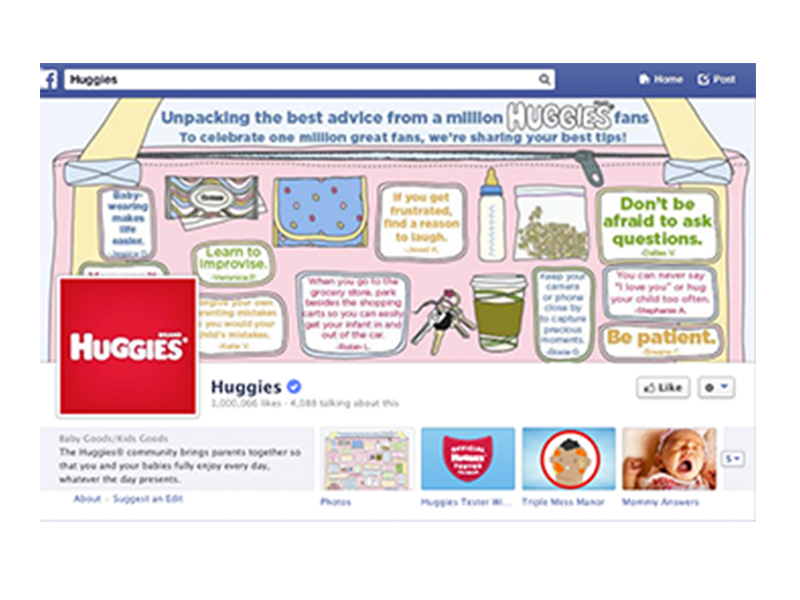 To celebrate reaching a million fans on Facebook, Huggies took all the great advice, answers, and parenting tips shared on their page, and really made them sing. We took a spreadsheet full of Mommy Advice, a rhyming dictionary site, and a girl with a guitar to create this catchy little number that’s likely still stuck in my head. We compiled all the advice in one image, so each and every mother could see it.